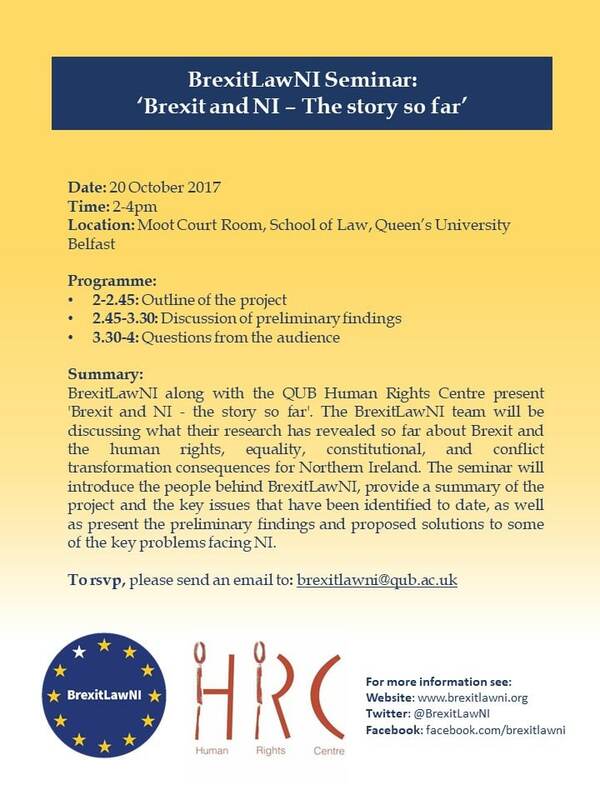 BrexitLawNI along with the QUB Human Rights Centre present ‘Brexit and Northern Ireland – the story so far’. 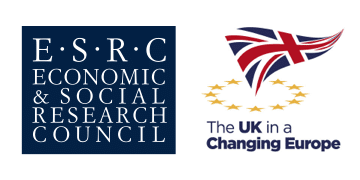 The BrexitLawNI team will be discussing what their research has revealed so far about Brexit and the human rights, equality, constitutional, and conflict transformation consequences for Northern Ireland. The seminar will introduce the people behind BrexitLawNI, provide a summary of the project and the key issues that have been identified to date, as well as present the preliminary findings and proposed solutions to some of the key problems facing Northern Ireland. To rsvp, please send us an email.